I've been pulling together some more of the finished decorative aspects of my kitchen space... I guess in a designer's home nothing's ever finished. I thought I'd post some pictures and realized it may be more meaningful if I share the journey. 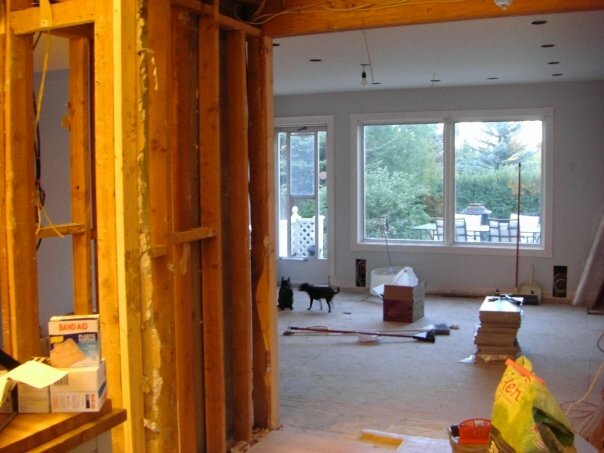 The space used to be the home's dining room. 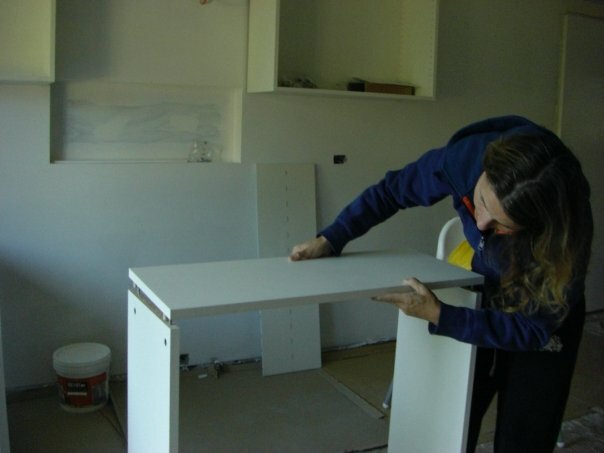 A few shots of me assembling my IKEA cabinets. 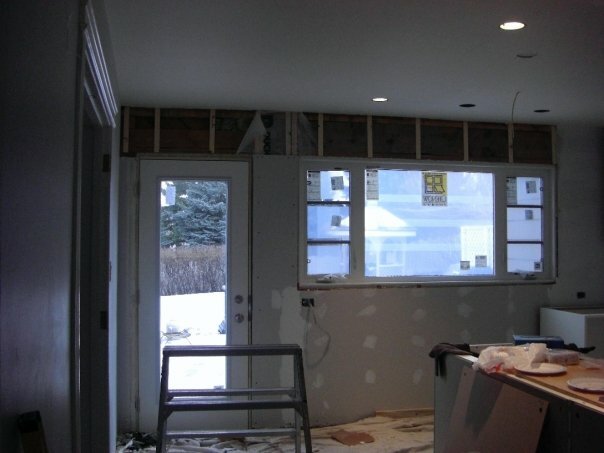 Above the space is primed and cabinet frames hung and below the floor going in. PS- don't forget this is all going on with 5 boys and 2 dogs. When I look back at this image I truly ache for the time when my smallest was that small. looks like it's coming along great! the marble backsplash is fabulous! I love a white kitchen! Looks great! Love the backsplash. Are the base cabinets white or gray? Either way, luv em! That room gets so much light! Can't wait to see the final product! Thanks for following my blog, nice to meet you Erica! 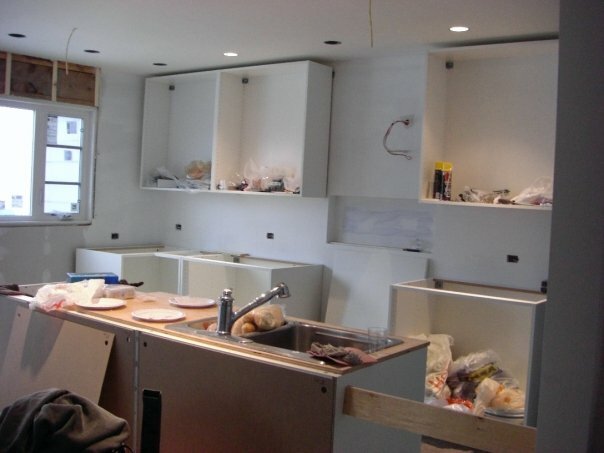 This is great job, so you make your kitchen by yourself??? I can't believe it!!! What an ideal thing to create our own living space from beginning, it reminds me a childhood memory of building up the secret base on a tree :D Keep updated! I love that back splash! I can't wait to see the whole thing. So cool, good job! Cant wait to see it all! Whoah! You are so hands on. Awesome. Where are all of those boys of yours? Soon they will be able to get this all done and you just shout out the orders! Can't wait to see the final product. Tomorrow I am starting a new guest blogger series and would love for you to go take a peek and consider joining in the fun! I'm seriously loving the marble backsplash!! Can't wait to see the finished result!! Oh goodie... can't wait to see it all! OMG. gasp! i am in love with the backsplash. its amazing. wow. It's gorgeous! can't wait to see more. Can't wait to see the finished product it looks like it's going to be great! what a dream, being able to build your dream kitchen, it's going to be amazing! 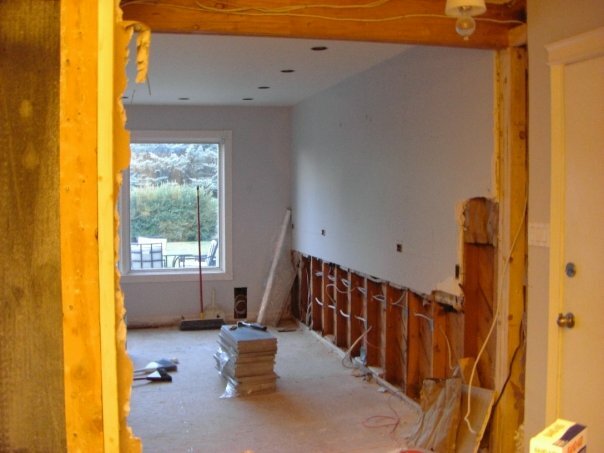 Wow, you totally gutted the whole space- I LOVE the backspalsh! Wow you are very hands on....SO IMPRESSED....and managing to look so cool! Lady you need to share your secret with me...my project has me stressed out and rocking "bag lady chic" and I have people doing the physical stuff!! Mind you they are men, and after looking at how my pebble tiles went on today I reckon I could cut down on the level of stress if I had done it myself!! It look lovely...can't wait to see the finished project! I cannot wait to see the finished room! Where did you get your cabinets? 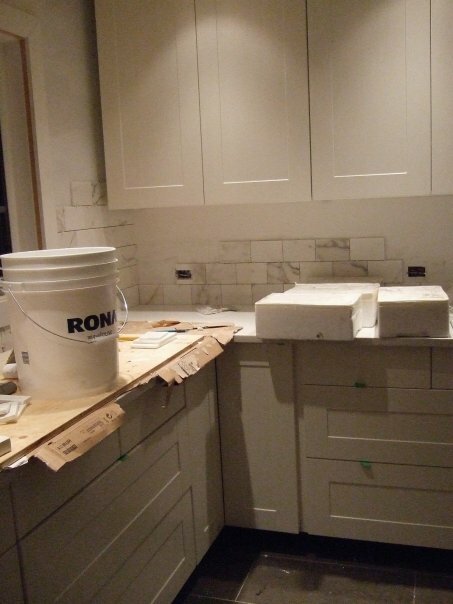 It already looks amazing...love the backsplash. Looks amazing so far! Can't wait to see it all finished! So fabulous!!!!! Erica love it! You have a little gift on my site :) Xoxos!!!!!!! Girl! It is looking so fabulous! Can't wait to see it all finished up! i can't wait to see the "after" pictures!